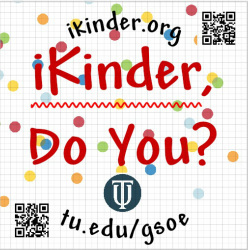 2016 CKA - iKinder, Do You? The results are in! Four years of tracking students from pre-school through second grade show that iPads + early learners + literacy immersion apps DO make a difference and help close achievement gaps especially for ELs and students of poverty. We'll share apps, the teachers' methods and the results. Former kindergarten teacher Dr. Pamela Redmond has been investigating means to close achievement gaps for ELs and students of poverty via iPads. Dr. Barbara Nemko has served as Napa County Superintendent of Schools since 1997. She was instrumental in bringing iPads to all pre-school children in Napa county.